Ryan Burnett has warned his Bantamweight rivals that the best is yet to come as he celebrates his dominant win over Lee Haskins to claim the IBF title in Belfast on Saturday night. 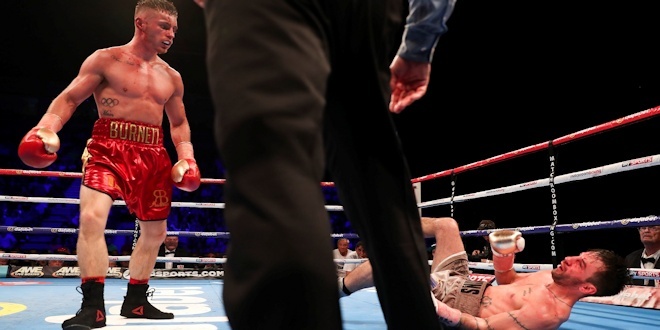 Burnett was punch-perfect in front of his hometown fans and answered plenty of questions in his performance, handling a nasty cut from a second round head clash and nearly stopping the Bristol champion after flooring him in rounds seven and 11. 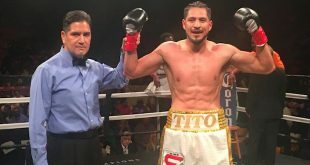 The 25 year old was elated as the final bell went but, like the crowd, was stunned when a split decision was announced. 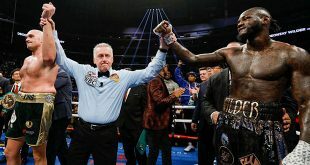 Two judges awarded Burnett the fight 119-107 and the post-fight fallout determined that judge Clark Sammartino had mixed up the identities of the two fighters as he gave it 118-108 to Haskins. 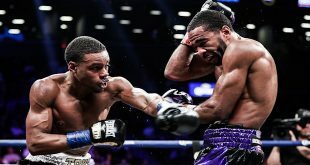 The controversy could not take the gloss off the victory for Burnett though, and in just his 17th fight, Burnett and trainer Adam Booth put together the perfect plan to dethrone Haskins and the new champion expects his new position to inspire him to improve even more. “I can't really put it into words, it's still a bit of a dream even now,” said Burnett. “The work starts now though. There's plenty more to come from me. I think that I'll hit my peak at 27 or 28, especially with a guy like Adam Booth in my corner, he's a master of the sport and he knows the game inside out. "Every day he teaches me so much. So I am a world champion but there's so much for me to learn and develop, it's really exciting. “I've been away from Belfast for three years now and when Eddie told me that I was going to be fighting for the belt in Belfast I was blown away. I've made my dream become reality, and all the bumps and cuts are totally worth it. “I've worked for this all my life and I'm so happy and grateful that I'm now here. I've only had 17 fights and I've only just turned 25 so I am still a baby in the sport, I've got a lot to learn but I’m in a great position and the only way is up. “I've always prided myself on doing everything that Adam tells me to do. When I dropped him I looked over at Adam and he told me to get on him and that's what I did. He's a champion, he's been there and done it, and he knows how to dig in and survive when it gets tough. "He weathered the storm and heard the final bell, so all credit to him. He gave me a hard night's work but I strongly believe that the best man won on the night.